Who knew?! I had no idea until I saw a post on Instagram the other day that January is National Soup Month. And how appropriate. It is cold and dreary, perfect for a hot, yummy bowl of soup. So to honor Soup Month here is one of my husbands favorite soups that I make, Manhattan Clam Chowder. The original version is not vegetarian so I modified it by using olive oil instead of bacon. In a large pot or Dutch oven heat the olive oil on medium heat and add onion, red pepper, carrot and celery. Reduce heat to low and cover, cook until softened, about 10 minutes. Add garlic and oregano and saute for 1 minute. 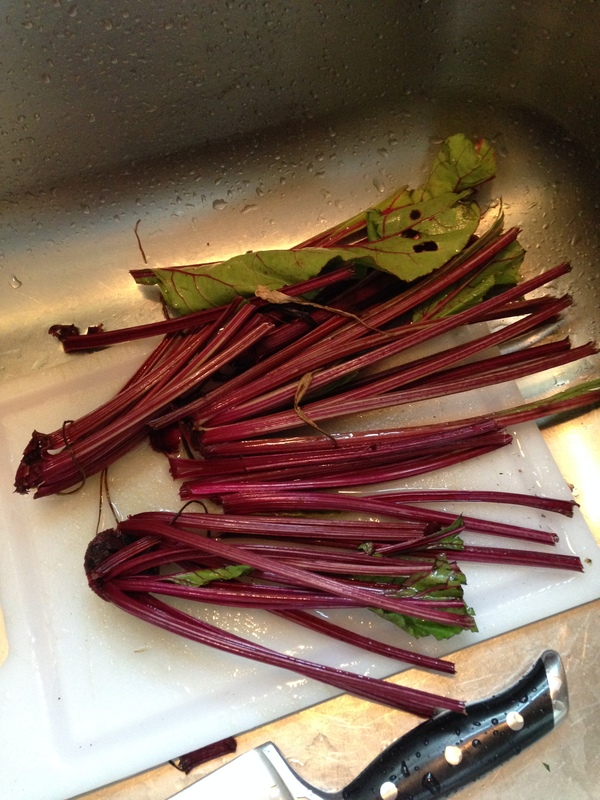 Add wine and increase heat to high, boil until it reduces by half, about 2 to 3 minutes. Add the 3 bottles of clam juice, reserved canned clam juices, potatoes and bay leaf. Bring to boil then reduce heat to medium-low and simmer till potatoes are tender, about 10 minutes. Using a wooden spoon smash some of the potatoes against the side of the pot, then simmer for 5 more minutes. 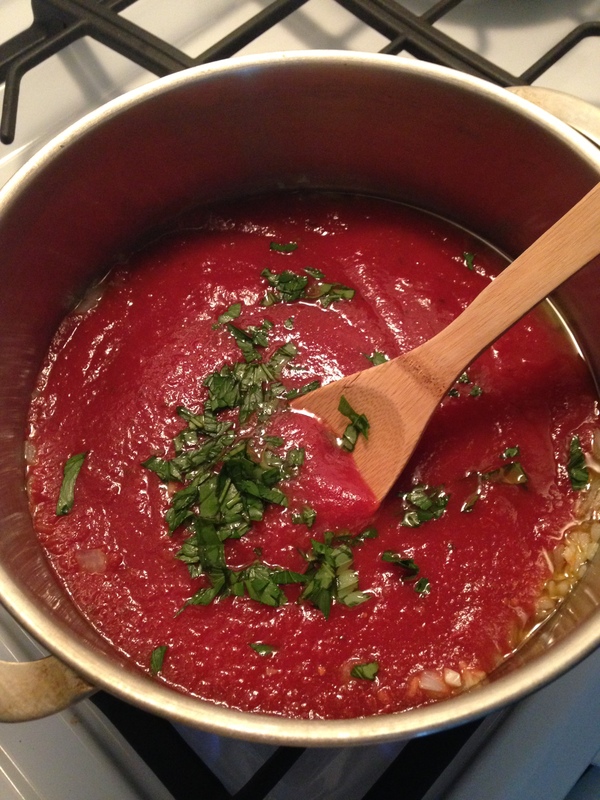 Add diced tomatoes, bring back to a simmer and cook for 5 minutes. Add clams. Turn off the heat, add salt and pepper to taste and add parsley. You say Pesto, I say Pesto…we all say Pesto! 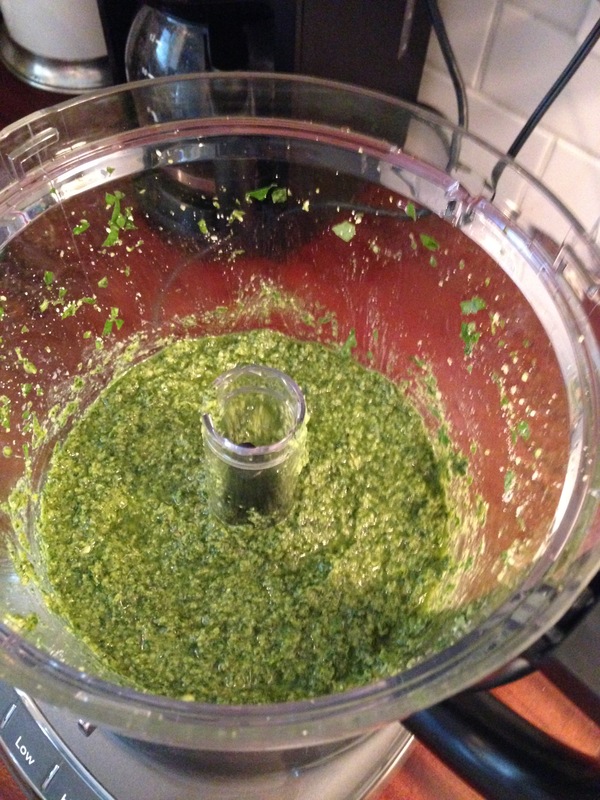 Once again I am writing about something that has always intrigued me, pesto. I didn’t even try it until I was in my 30’s and fell in love instantly. How could I have been so reluctant to try something so delicious for so long. 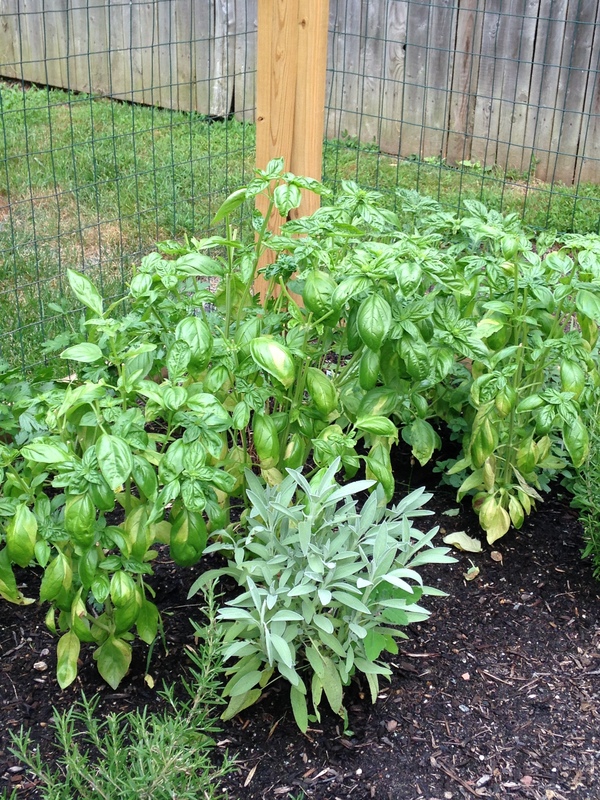 Well, this summer my husband and I decided to have a real garden and of course the basil is totally out of control so what better to do with basil than to make pesto?! 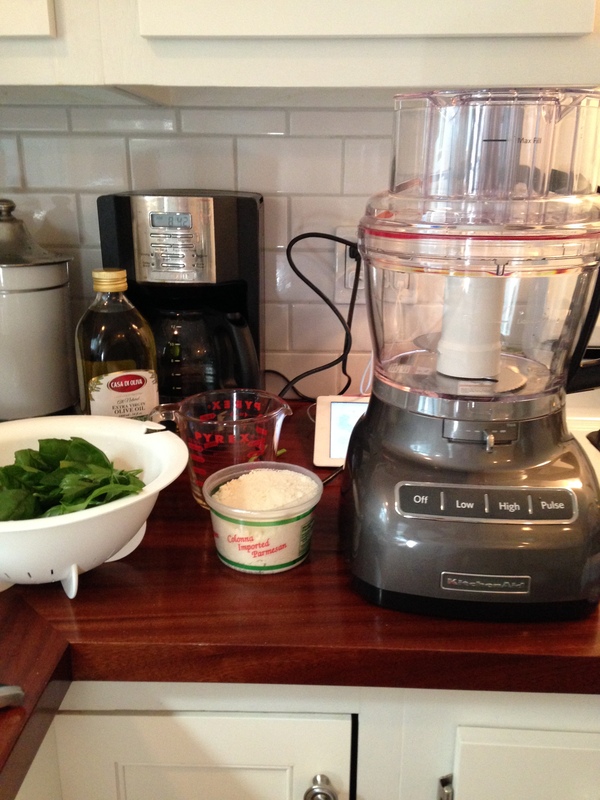 For Christmas my husband bought me a beautiful food processor that I have never used. This past weekend it was time. Time to use the food processor and time to make pesto. As usual, I take to Pinterest, my favorite app of all time. 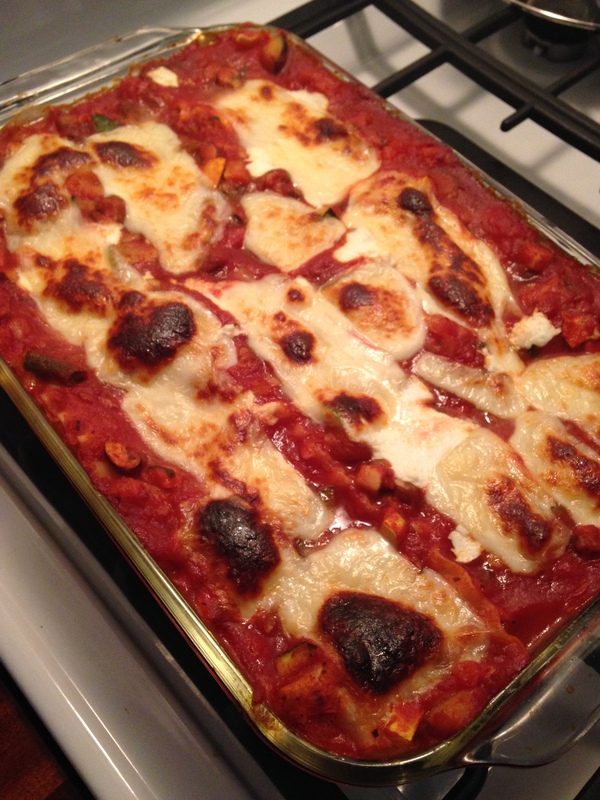 I found a great, simple recipe on the blog Gimme Some Oven that was perfect! 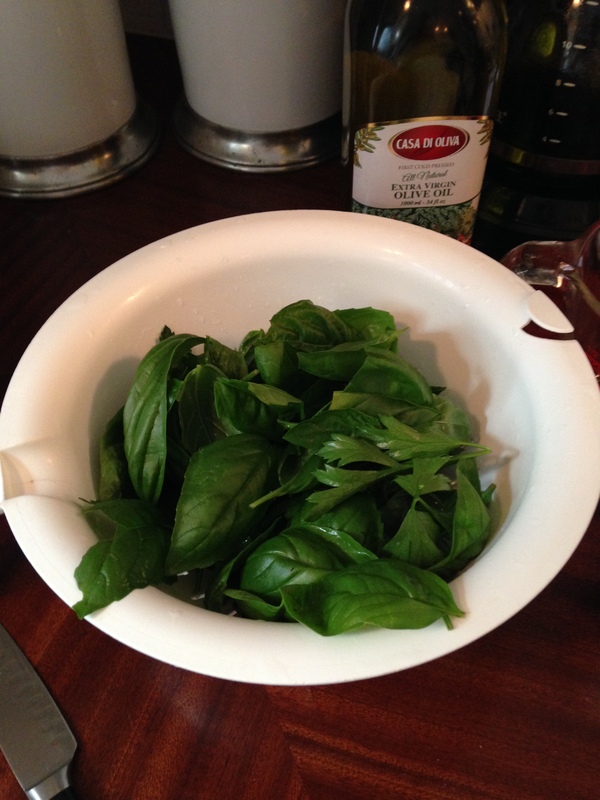 In a food processor or blender, blend together basil, pine nuts, garlic and cheese. Pour oil in slowly while still blending and then add in salt and pepper. Scrape down the sides and pulse a few more times to make sure it is well blended. Viola! 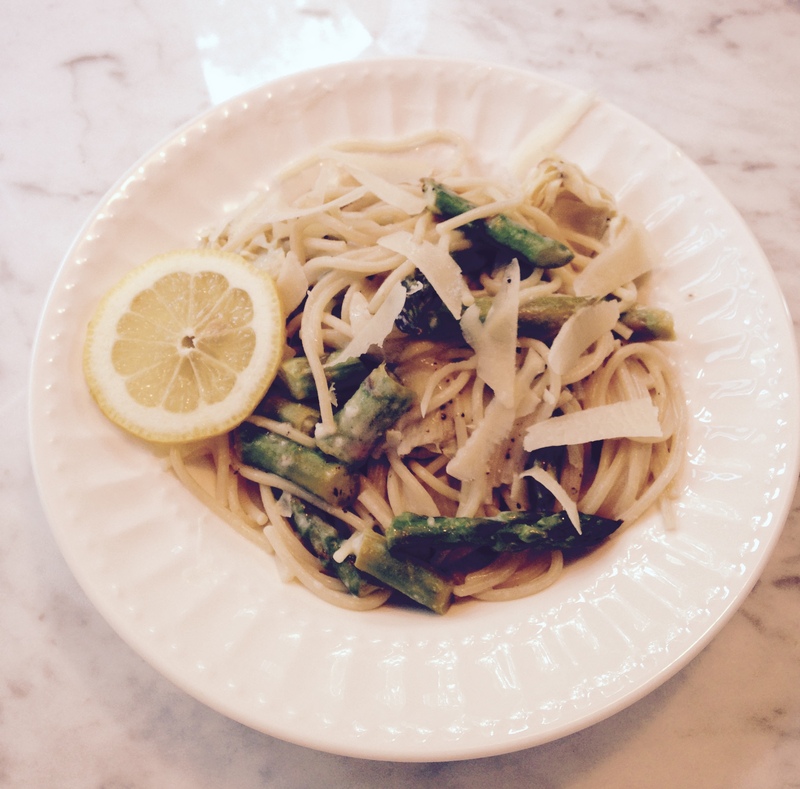 Super easy and so good! My husband was completely amazed at how good it was. I’ll be making it again for sure. Now a little side note, I also added just few leaves of oregano and parsley from the garden as well, which I think added to the yumminess. To store, keep it in an air tight container in the fridge for up to a week. You can also put it in ice cube trays to freeze it then pop it out and put in baggies to use whenever you need it, you can have fresh, homemade pesto all year round. Who doesn’t love 7 layer dip? 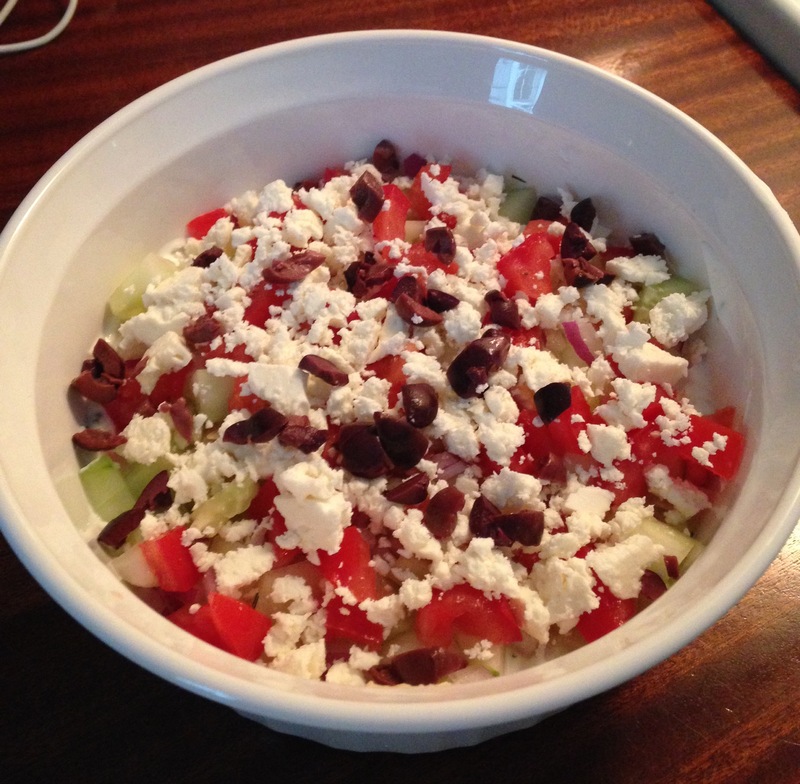 Well, here’s a Greek version and not only is it super tasty, it is also kinda healthy. I made it this past weekend for a small gathering and it was huge hit (there was nothing left). You can serve it with pita chips, warmed pita bread cut into triangles or bagel chips. Stacy’s actually makes a new pita crisp that I happen to love because it is thinner and lighter than the regular pita chips. 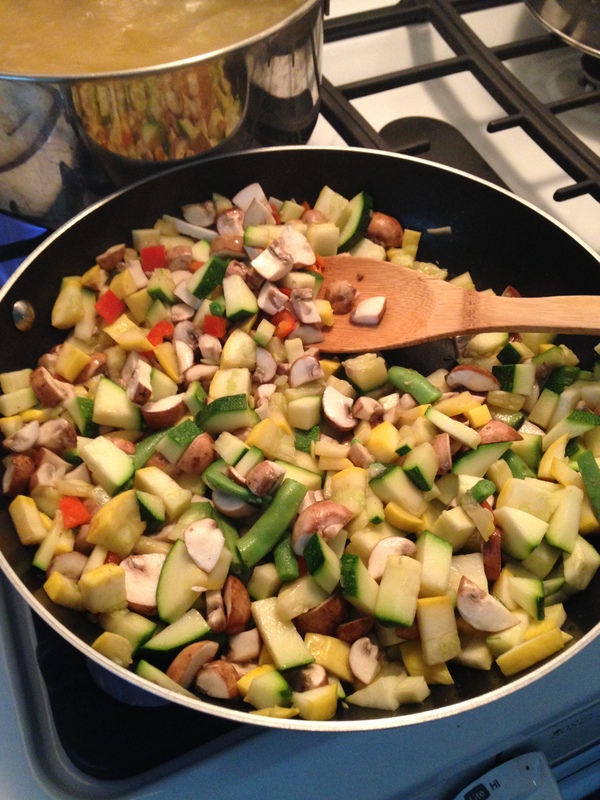 Vegetables are good too, especially if you or your guests are gluten free. I dip, you dip…we dip! I adapted this from SkinnyTaste.com. There are just a few changes, the first one being she makes hers in a 9″ x 13″ Pyrex pan, not to insult her but I happen to like to serve in a prettier way so I made mine in a white ceramic serving dish. Secondly, I beefed up the amount of hummus and greek yogurt to make it more substantial, 8 oz seemed to spread out too thin. Give it whirl and let me know what think! In a small bowl combine yogurt, dill, garlic, lemon juice, salt and pepper. Set aside. 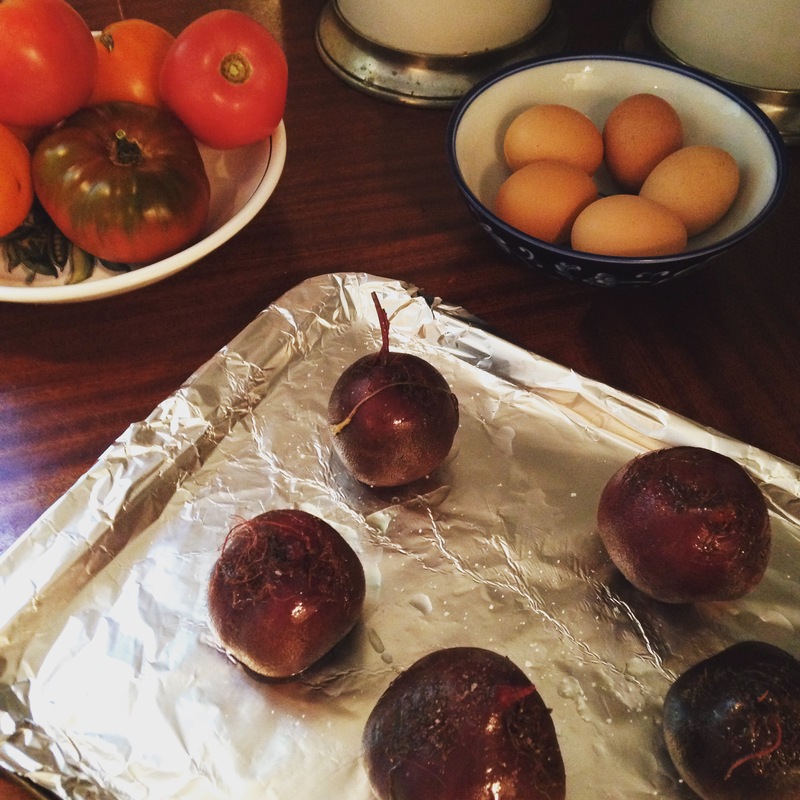 In the dish of your choice, spread the hummus as the first layer, then the greek yogurt mixture, red onion, cucumber, tomatoes, feta and lastly the olives. 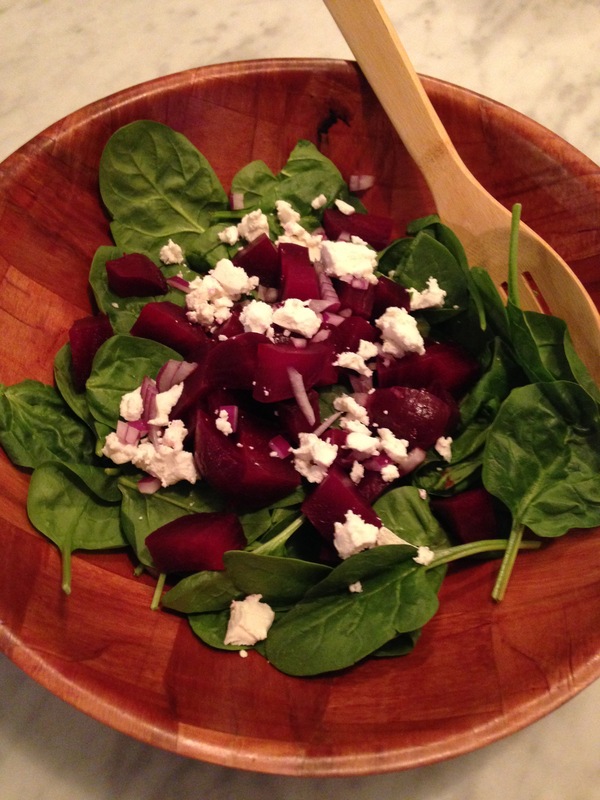 Super easy, super tasty and good for you! *The dish should be 1.5 or 2 quarts.